Cornwall is often regarded as the home of the weird and wonderful; the landscape inspires many in the fantastical imaginings. Two of which stand out as being even more fantastical than the piskies, giants and witches of old folklore; instead there are creatures which are products of our modern imaginings, the Owlman of Mawnan and the Morgawr. The first Owlman sightings occurred in 1976, by two young girls (aged nine and twelve) walking through the woods near Mawnan Smith Church who claimed to have seen a winged creature hovering over the church tower. Several months later, another young girl, Sally Chapman (aged fourteen) who was camping in the same woods with a friend, had a close encounter with the same creature. “It was like a big owl with pointed ears, as big as a man. The eyes were red and glowing. At first, I thought it was someone dressed up, playing a joke, trying to scare us. I laughed at it, we both did, then it went up in the air and we both screamed. When it went up you could see its feet were like pincers.” (Sally Chapman – www.americanmonsters.com). The following day another young girl, Jane Greenwood, claimed to have a similar encounter with the Owlman. Throughout the latter half of 1976, there was a flurry of Owlman sightings which promptly died down until 1978 when an eyewitness called Miss Opie claimed to have seen “a monster, like a devil, flying up through the trees near old Mawnan church.” Later in August of 1978, three French students studying summer courses at Camborne Tech (now Cornwall College) told their landlady of an encounter with a creature which was like a big furry bird with a gaping mouth and round eyes. Many of the accounts of the Owlman were reported solely to local paranormal researcher (amongst other things) Tony “Doc” Shiels, causing some to question Shiels’ reliability, as he was known to be something of a prankster fond of good hoax, as well as a showman, artist and self-proclaimed wizard. All of the encounters have occurred not in the dead of night, but during those twilight hours just as the dark of night begins to set in. At such times it is easy to “see” things that make you jump, making it just as easy to dismiss the Owlman stories as juvenile hysteria. 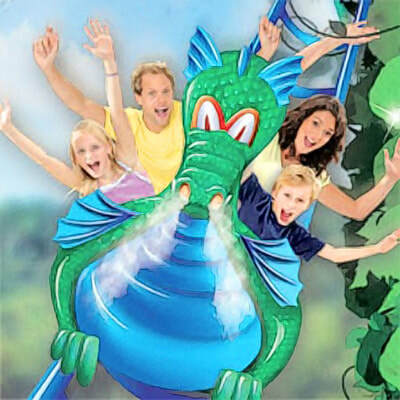 The Morgawr is Cornwall’s own version of Nessie and every other sea serpent story there is out there. (See photos below). The earliest report of the Morgawr comes from 1876, when fishermen from Gerran’s Bay claim to have caught a sea serpent.This report is unsubstantiated, but it could have been an oarfish which are often mistaken for sea serpents of the mythical kind. The second sighting is dated to 1906, when the Morgawr was claimed to have been seen off Land’s End. After this, all went quiet until 1975, when everyone’s attention was focussed on Falmouth Bay. Here the Morgawr is sighted first off Pendennis Point and then off Rosemullion Head in 1976, by a Mary F who took two photos and sent them to the Falmouth Packet with a covering letter detailing her experience.Unfortunately, the originals of the photos were lost and no one knows who Mary F is, although there are those who think she may well have been a pseudonym of Tony “Doc” Shiels who also reported a sighting of the Morgawr later in 1976. 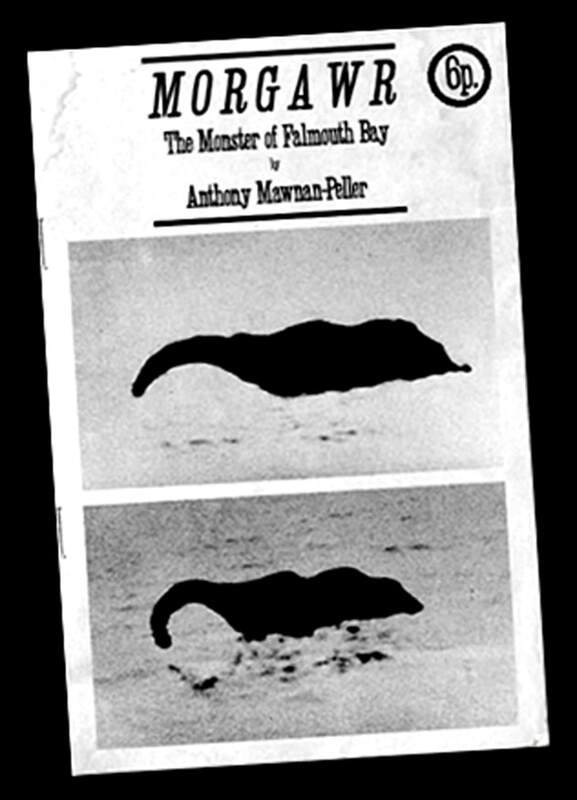 In the same year, a gentleman going by the name of Anthony Mawnan-Pellar published a pamphlet using Mary F’s photos entitled Morgawr: The Monster of Falmouth Bay. Suspiciously, it would seem the author’s name could also be a pseudonym for Shiels – Tony, after all, is short for Anthony; Mawnan may be a reference to his other “hoax” of the Owlman and Pellar is an old name for cunning person/wise woman or a witch/wizard, something he liked to think he was. In July of 1976, two fishermen also claim to have seen a creature rear its head up out of the water some four feet, just south of Lizard Point. After this, sightings of the Morgawr go silent until 1985 when holidaymakers from Gloucestershire were enjoying a swim in Gerran’s Bay. The wife claimed to have seen the silhouette of a giant long-necked creature just below the surface as she watched her husband swimming. In 1987, another sea serpent was reportedly seen off Devil’s Point near Plymouth and in 1999, a John Holmes videoed an unidentified creature in the sea at Gerran’s Bay. Reported on BBC radio in June 2002, Mr Holmes who worked at the Natural History Museum for nineteen years, was positive there was a zoological discovery waiting to be made off the Cornish coast. Video experts confirmed that the video was “100% genuine.” Having said that, efforts were made to view this video, but at this point in time there is no evidence of it on the Internet. The Falmouth Packet in 2001 ran a short article when Shiels visited Cornwall on the twenty-fifth anniversary of the first major sighting of the Morgawr. At the end of the article the reporter states that according to memory, the first sighting was nothing but a huge model made by the students of the Falmouth School of Art, aided and abetted by a Falmouth Packet reporter and Doc Shiels himself. It was all in good fun and never meant to be taken seriously, however that does not account for the myriad of successive sightings since. The Owlman stories could also be taken with a grain of salt thanks to the involvement of Doc Shiels in the majority of the sightings. However, another researcher Jonathan Downes also claims to have interviewed a young man he calls “Gavin” who also claimed to encounter the Owlman independently of Shiels in 1989. So who can say what is real and what isn’t, to coin a well-known phrase “Believe it, or Not”. ​Postscript - Those who would like an up close and personal experience of the Morgawr, could perhaps visit the Crealy Adventure Park in Cornwall and ride on their new rollercoaster named after Cornwall’s own sea monster. 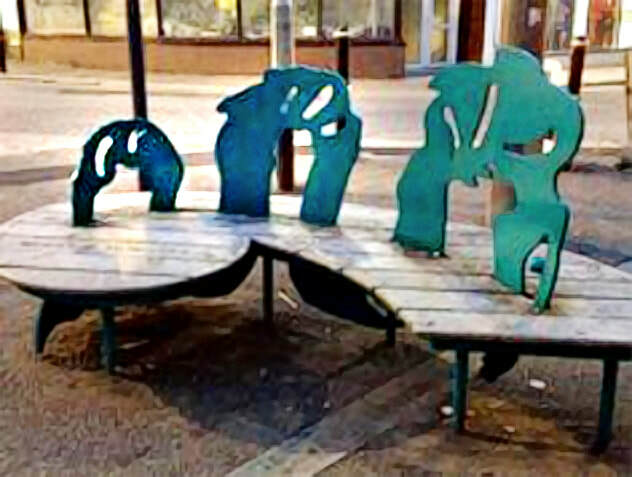 Or if you prefer something more sedate, check out the bench on Market Street in Falmouth, designed by pupils of Falmouth School and inspired by the Morgawr. Not forgetting Owlman fans, there is a game app which can be downloaded and is inspired by the stories of the Owlman of Mawnan.